Non-profits thrive on publicity. When more people know about the group, it’s more likely that they will donate or volunteer their time. 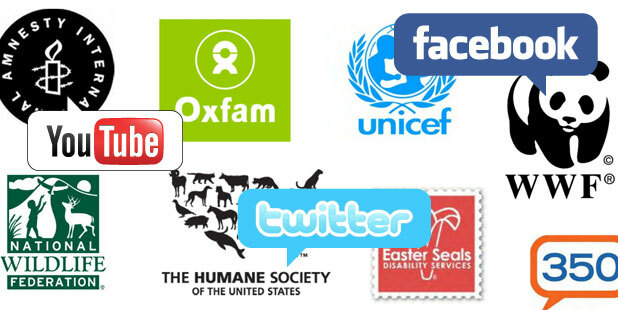 For this reason, social media is the perfect platform for non-profits. It’s a free way to spread that group’s message, and gets others interested and invested in the cause. Once you locate where your supporters are hiding on social media, you can use them to spread the word and gain more interest in your group’s purpose. When you’re handling the social media for a non-profit group, an authentic voice is appropriate. Every tweet, Facebook post, and Instagram picture should represent what your cause is all about. If you’re a playful group that fosters dogs, show plenty of pictures of wriggling pups. If you’re a group trying to raise money to build a new playground in an urban area, show pictures of healthy kids getting active in a safe environment. Social media lets you put a human voice and face to your organization. Instead of spewing facts about cancer survival rates or drug use among teenagers, you can get the message across in a softer and more approachable way. In order to really build supporters, you need to keep these people engaged. Donating once is great, but it’s even better if they continue that support annually, or even take on a more active role within the organization. By conversing directly with these people, you increase your chance of making a real impact on them, thus prompting them to get more deeply involved. In some instances, non-profit groups will deal with a lot of overwhelming jargon and numbers. Social media asks that these groups take these facts and make them easy to understand. There’s no need to dumb them down, but you should make it easy for a consumer to immediately see why their help is necessary. People like to know how their money is being spent. Instead of just firing off a check for a local animal shelter, social media allows them to see dogs and cats at play with the new toys that they helped to buy. Seeing pictures of adoptable dogs makes it easier to understand why getting a pet from a shelter matters. For those who donate to children’s hospitals, seeing sick kids on the mend is inspiring and can promote further support of this facility. People love results, especially when it comes to seeing how their time and money is put to good use. Social media makes it easy to show these results, thus encouraging continued support. Just like any other type of business, non-profits rely on social media to drum up support and recruit new members. Using these various platforms to put a human voice to the cause is an important way to get people interested, and to keep them engaged after they have become involved. Pingback: What Is Cause Marketing?